NEW YORK -- Two people were arrested Saturday after shots were fired inside Brooklyn's Kings Plaza Shopping Center, CBS New York reports. 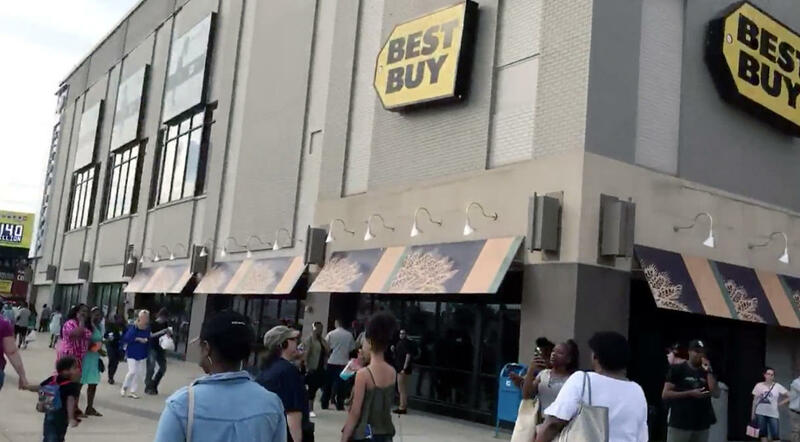 Police responded to reports of gunfire inside the shopping center at 5:49 p.m. Saturday evening, an NYPD spokesperson told CBS News. There were no reported injuries, police said. Two 16-year-olds were taken into custody, and police recovered a gun at the scene. Quentin Raymond, the suspected shooter, was charged with attempted assault, criminal use of a firearm, criminal possession of a weapon and reckless endangerment. Jeremy Danaud was also charged with four counts of criminal possession of a weapon. Authorities have not identified a motive but said an investigation is ongoing. Kings Plaza security told CBS New York that the plaza and parking garage were evacuated shortly after gunfire was reported. Witnesses said shoppers immediately began running when shots rung out. "It was pretty chaotic, pretty frantic," said Sade Abiadun, who was getting dinner inside the mall. "I've lived in New York all my life. Whenever you hear, 'boom, boom,' inside a building, it can't be firecrackers. You exit." Huge crowds gathered outside the plaza as SWAT teams moved in. Many shoppers didn't know why they were forced to evacuate. "I heard over the loudspeaker, 'evacuate the mall,'" one shopper said. Another witness said, "It's so shocking. I would never expect that to happen in the mall." The Kings Plaza Shopping Center has seen its fair share of chaos in recent years. In 2014, a fight broke out on Christmas Day. The year before, disorderly teenagers allegedly scared shoppers and employees. The mall was forced to place a temporary ban on unsupervised teens. The mall said it ramped up security by adding security guards and NYPD officers to patrol the area. The incident came just eight days after the deadly shooting rampage at Bronx-Lebanon Hospital when a former employee killed one doctor and wounded six others. "It's actually very scary, and you know it's sad that things like this happen at times," another witness said. The mall was closed following the incident. It's currently unclear when it will reopen.